We hope you have enjoyed building your Neighborhood with us. 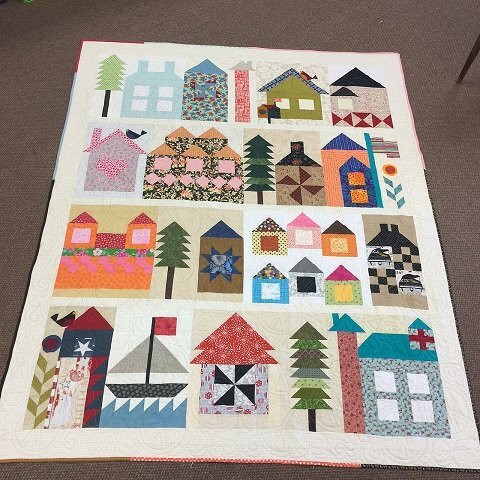 We had a lot of fun with this project-built from scraps, our Neighborhood is a colorful addition to our quilt collection. 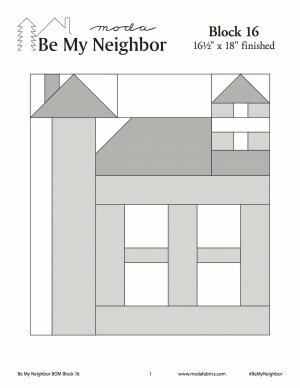 Download your final "blueprint" and finishing instructions and watch for future projects. Our finished project. We are loving scrap quilts right now. We have some great ideas stirring for 2017 to use those scraps. Please feel free to post your finished quilt to our Facebook for everyone to enjoy. We will be closing early on December 31-which is also the final "Old Bag Sale Day" for 2016. Make sure to shop early for those savings! Santa didn't bring you what you wanted this year-no worries-we are having a sale. Use code "goodbye2016" and save 20% online through December 28. In the shop just mention the sale for savings.